We all experience stomach aches and pain at some point in our lives. Fortunately, this common ailment usually isn’t serious. Liberty Urgent Care walks you through the many causes of tummy trouble, and when to seek medical care. Many conditions cause abdominal pain and nausea and it can be difficult to determine exactly what it causing your abdominal pain. Stomach aches will often go away on their own. However, in some instances, it’s critical to see a medical professional. 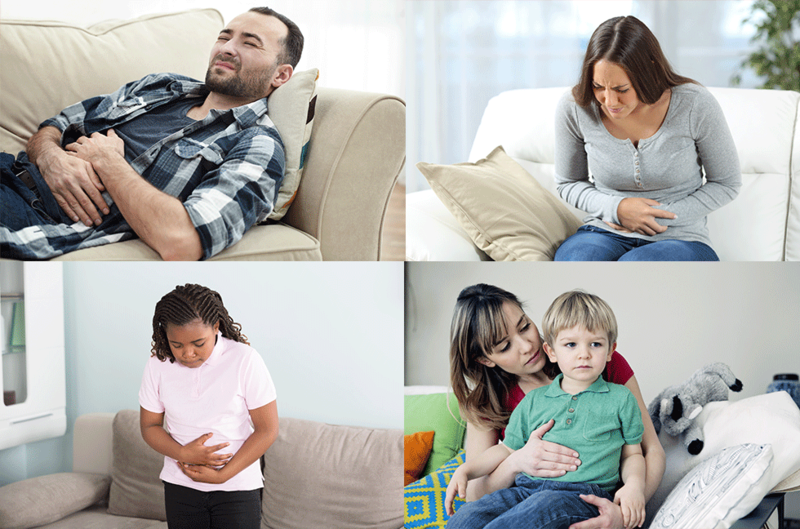 How do you tell the difference between a harmless upset stomach, and a more serious condition? A Liberty provider can evaluate your stomach pain and get you the care you need to start feeling better. We will assess your symptoms, the location of your pain, and your medical history to diagnose and treat your pain. Our goal is to help you get back to normal as quickly as possible. We provide fast and affordable care 7 days a week, with no appointment necessary. Walk into our Horsham clinic today, or check in online to save time. Liberty Urgent Care is able to treat most stomach issues, but there are times when you should seek emergency help. If your abdominal pain is severe and associated with trauma from an accident or injury, or you are experiencing pressure or pain in your chest, call 911 immediately.